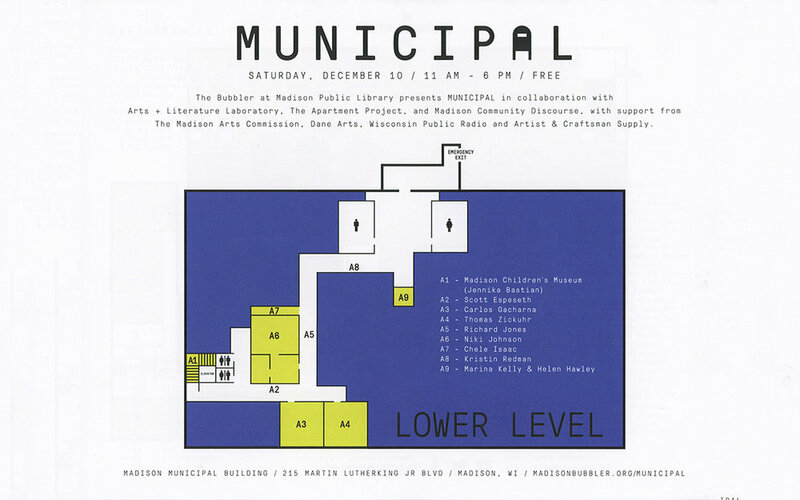 Emptied of all workers, the 75,000 square foot City of Madison Municipal building was used as an exhibition and performance space for a hundred artists on December 10, 2016. 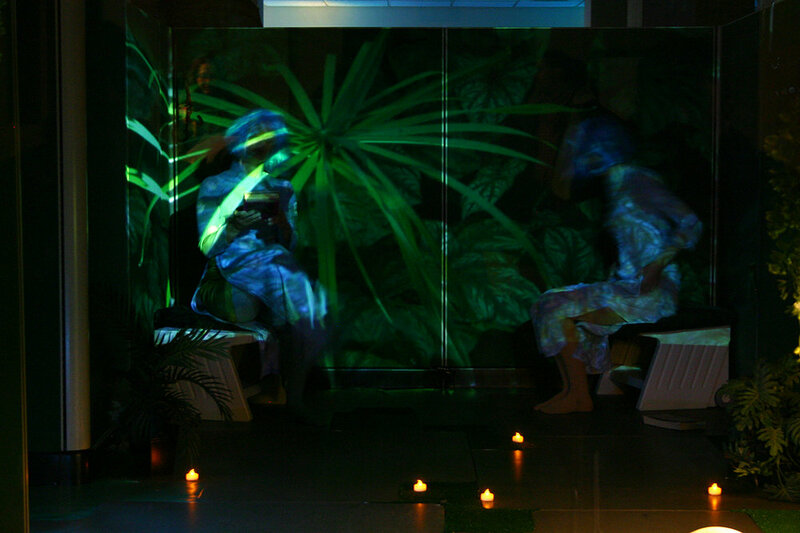 Subterranean Garden was located behind a glass wall at the end of a dim corridor where spectators were seated facing the re-cultivated office space of the former Department of City Planning. 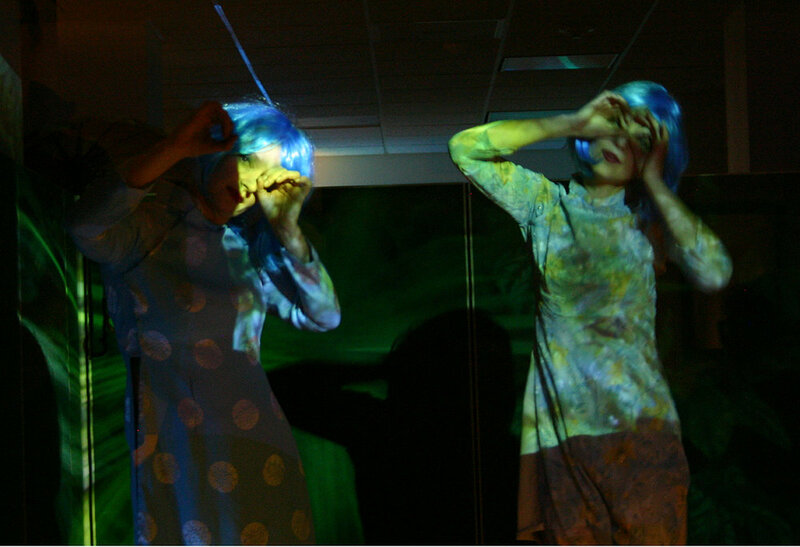 Enclosed by cubicles, with astroturf underfoot and greenery projected overhead, the two performers kicked up their feet and sashayed in unison to the tune of Dieter Roth’s Harmonica Curse. 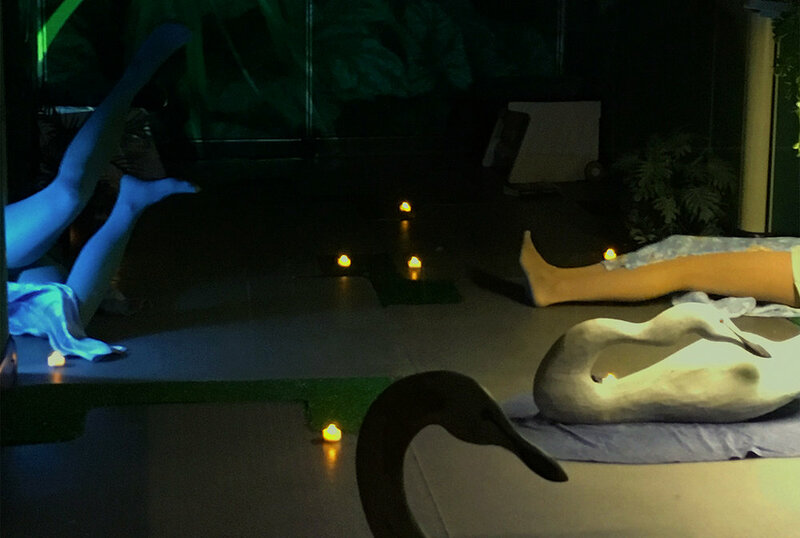 Ambient recordings, fragrance, and swan decoys completed the live tableau of a strange garden found in the farthest reaches of the building’s lowest level.